Thanksgiving is a time of year we all sit back and think of what we are thankful for. True, but do we really ever place our thoughts beyond us? What about our forefathers that left their comfortable homes, family and known lives for the complete unknown land. To sail the open ocean during the blistering hot day, cold black night, and rough open seas. No not just for a few days, but for how long and to where exactly. That was the unknown. Was it truly going to be better? Will we be free? Will we be able to practice our religion? Say what we want to say and be who we choose to be? Will we survive the trip? Will it be worth all the challenges that lie before us? So many unknowns, I can’t fathom. But I am truly thankful that those people of long ago had the courage, strength and perseverance!! Because without them we wouldn’t be here!! Could you do what they did? I don’t know if I could to be honest! So as we bow our heads to say a prayer of thanksgiving or go around the table at Thanksgiving dinner to say what we are thankful for, be mindful of the people that have gone before us, who are serving us currently and truly know we are a blessed country! The greatest country! I pray if ever we are called upon, that we would have the same courage, strength and perseverance as our forefathers. Be thankful for what we have…true freedom, freedom of religion, free speech, a right to bear arms, come and go without fear!! Embrace what you have and fight for it!! So, to say thank you to our customers and employees, YES! We do appreciate each of you! We are thankful for each of you!! But truly I am thankful for SO MUCH MORE! I have freedom, a country I love, family, good health and yes a company with great employees and wonderful people WE get to work for each day! I just wanted to reflect on truly what is Thanksgiving to me….what is it to you?? 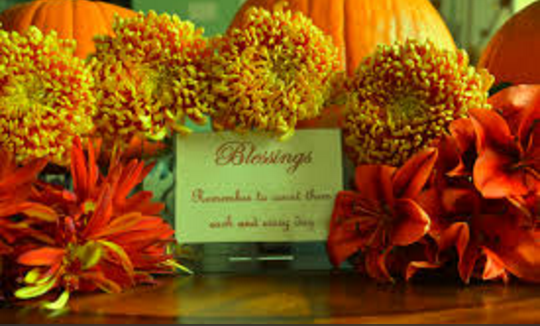 Be Blessed and have a wonderful Thanksgiving!! You are here: Home > Uncategorized > What is Thanksgiving?